Not in the area to come to the workshop? 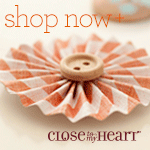 Contact me - use email in this link to order your kit with cutting directions (or pre-cut with small additional charge). Materials Needed: Ariana paper pack (x7179b), Sparkles Black Flourishes - Small (z1916) and additional sheets of cardstock from me to complete the kit. Materials do need to be pre-ordered. Bases for A and B are Outdoor Denim. The rest of the colored papers are from the Ariana paper pack. 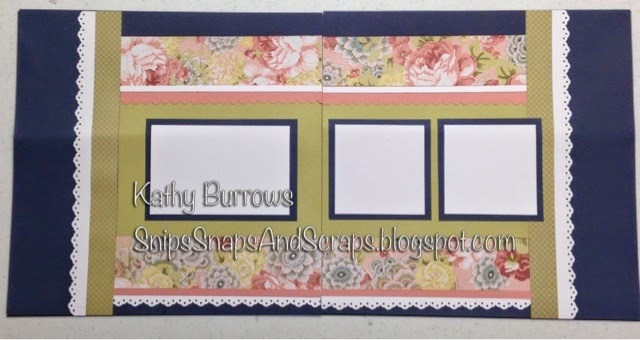 The lacy borders were cut with a punch. The base pages for these layouts are Crystal Blue cardstock. Picture mats use the Ariana Gray, White Daisy and Blush cardstocks. I used remnants of the Sparkle Flourishes Black that I had, but you might be happier working with the small Sparkle Flourishes Black. The buttons are retired items, but I have enough for the kits. The base pages for these layouts are Outdoor Demim. 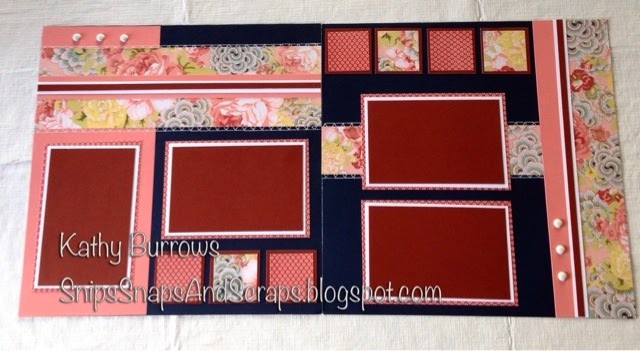 In addition to the Ariana print paper for the picture mats, I also used White Daisy and Barn Red Cardstock. For the faux stitching I used our stitching guide and a wehite gel pen. I used retired white brads, but pearls or other white embellishments would work well on this layout.